I have made a habit out of making the pre-print versions of some of my book reviews available here at Heterodoxology. 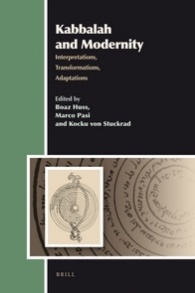 I was recently reminded of one that I had completely forgotten about: a review of the excellent volume Kabbalah and Modernity: Interpretations, Transformations, Adaptations (Brill, 2010). It is edited by three good colleagues of mine (Marco Pasi, Boaz Huss, and Kocku von Stuckrad), and features contributions by many other friends and acquaintances, but hopefully my review is not too biased. Moreover, symptomatic of the extreme delay in academic publishing, I should say that this review was written in 2010, and only appeared in print last year. The review was published in Magic, Ritual, and Witchcraft (summer 2012). 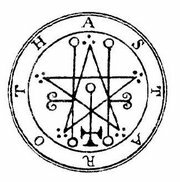 In a previous post, now a couple of months ago, I wrote about the distinction between goetia and theurgy in ceremonial magic. I tried to trace the development of the distinction, in very broad strokes, from neo-platonic discussions in late antiquity through the renaissance rehabilitation of magic, through to 19th century occultism. This was part of developing my thoughts for an article on «Goetia in Modern Western Magic», the deadline for which has now (as it usually goes with academic anthologies) been postponed. This gives me opportunity to try out some more ideas here.